Erie Colorado is a small town filled with character and beautiful homes, often described as quaint but still located close to both Boulder and Denver. When choosing to settle down in a new neighborhood, families often look for the perfect mix of beauty and safety that a small town offers combined with the convenience of living close to a metro area. Erie, Colorado offers just that combination. Erie Colorado is unique in that it strives to keep in touch with its roots. Even its town website proudly announces that it was founded in 1874. Recently the town has dedicated its financial budget to renovating and improving its public works and school systems. Today Erie has three elementary schools, a middle school and a high school in which you can choose to enroll your children in. Its January/February newsletter talks about some of its most recent accomplishments in the new year, one of them including being placed number 2 in the Best Places for Young Families rankings by Nerd Wallet. Erie Colorado is considered to be a wonderful historic neighborhood that focuses on its community and you can see this by traveling throughout the beautiful developments Downtown. The town also just announced that it invested over $61,500 in historic Downtown improvements. There are multiple small get together spots as well as larger community parks and even a dog park. Erie focuses on its community by implementing several programs such as a Concert in the Park series and as well as committee dedicated to hosting art in public places throughout the town. In addition to its wonderful community, Erie Colorado offers lower prices compared to towns that are located just outside of Denver. The 15 minute drive from Boulder allows for beautiful homes in Erie Colorado to be offered at an average price of $329,132 according to this real estate summary. The town also offers newer homes to choose from with an average home age of 4 years. Home prices also vary due to which county the real estate is located in. Erie CO is located in both Weld County and Boulder County, and the homes located in Boulder County tend to cost more. 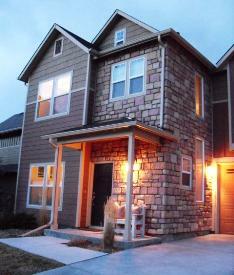 There are quite a few new real estate listings in Erie Colorado. Even though the average home last year was around $300,000 there are listings that range both below and above that amount. If you are interested in learning more about Erie Colorado, contact Housing Helpers to find out more about real estate opportunities in Erie CO. This entry was posted in Erie and tagged Erie Colorado Homes For Sale, Erie Colorado Real Estate Market on January 19, 2015 by Stephanie Iannone.